Customers rent backup space on a server with all the tools necessary to ensure preservation of their data. 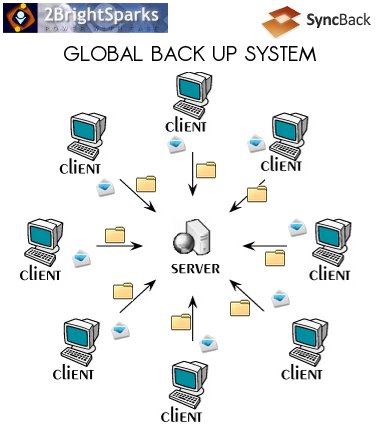 Each client transfers his backup data to the central server every day at fixed hours by. For every transfer, an email is sent to the client in order to report success or failure of the operation. 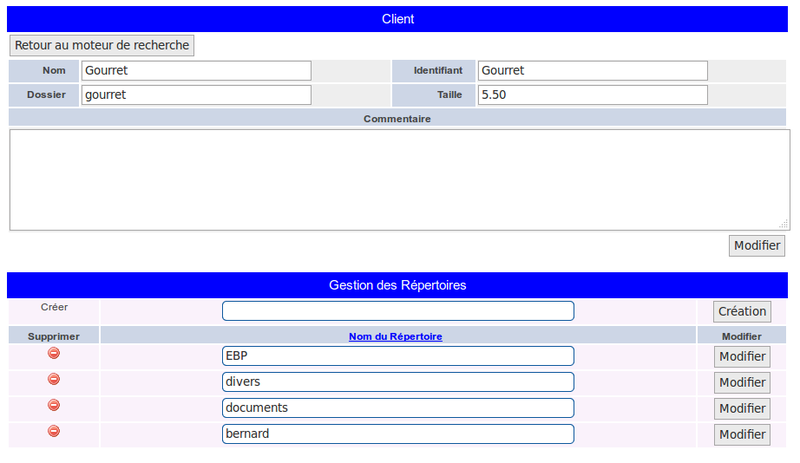 It is necessary to have a tool to monitor if the transfers are done correctly for each client. The tool must also be able to monitor storage space used by each customer and his activity over time. The software will access emails by IMAP, and analyze daily the file system's "du" on the server. This screen shows used space by customer and date. A color code indicates whether a client has exceeded his quota, is close to his quota, or is far from reaching his quota. This screen indicates space disk usage evolution by date and by customer. A color code indicates whether a client has exceeded his quota, is close to his quota, or is far from reaching his quota. 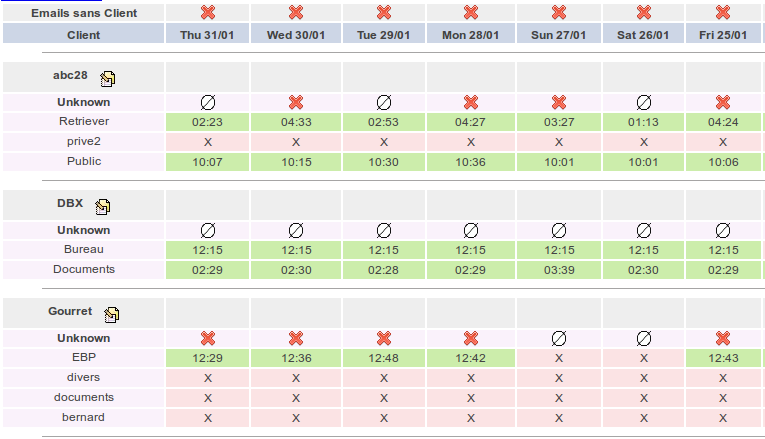 This screen allows to monitor daily transfer emails by customer and by day. A color code is used to show whether an email indicates operation success, operation failure, or whether the email is missing. The Software allows to manage administrator and customer accounts. This log viewer is much more than these few screens. Contact us for more details. We can adapt it to your business.